In Shai Dotan’s vision, the city disengages from the earth. Like a flock of hot-air balloons. No one knows where it will land. From “Boqer” (“Morning”), Keshev, 2014, translated from Hebrew by Vivian Eden. This coming Sunday might or might not be the first day of Ramadan, depending on new moon sightings by Muslim clerics. It definitely is Jerusalem Day, marking in schools nationwide the conquest of East Jerusalem in 1967 (or re-conquest, depending on who’s looking). Marked in schools nationwide, and by thousands of flag-waving youngsters from around the country and the West Bank parading noisily through Jerusalem, including Arab quarters – inevitably leading to clashes – in most of Israel it’s business as usual. This year, the municipality tripled the budget for the marches, eliciting criticism from some who feel that thisi s just asking for trouble. "Hot-air balloons” is Shai Dotan’s image for the city where he lives. Indeed, the amount of hot air, or hokum, concerning "unified Jerusalem" and the city as the eternal capital of the Jewish people, sacred to the monotheistic religions yada yada could easily fuel wafting its entire population to some other place. The title refers to Ariel Sharon’s 2005 disengagement from the Gaza Strip and a few West Bank settlements, which in retrospect did not achieve its aim of bringing peace closer, because it was unilaterally undertaken without productive input from either the Palestinians or the settlers. “From the earth” refers to the tradition concerning a terrestrial and a celestial Jerusalem. Jerusalem clasped to Tel Aviv’s “teeming heart / Like a rare / and courageous lie” has extravagantly extroverted Tel Aviv (kiss, kiss, hug, hug) cheerfully embracing the hot air, while austere, introverted Jerusalem in its terrestrial incarnation, where lots of people won’t even shake hands with others, embodies many harsh truths. 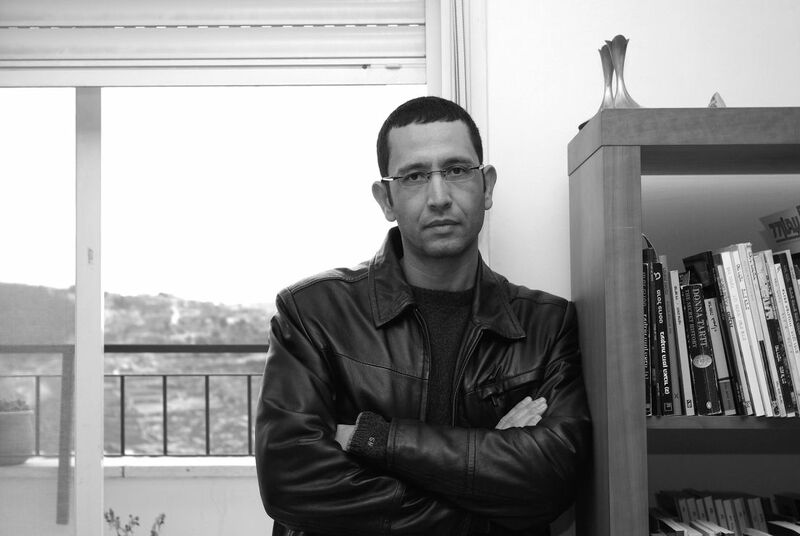 Born in Eilat in 1969 to immigrants from Morocco, Dotan has published two volumes of poetry. He is a public sector economist and moderates poetry workshops for youth and adults. *Musing: Why Baghdad, Athens and Prague and not any other trio of foreign cities?